← Did The Stay Puft Marshmallow Man Guide the Padres to Their New One Game Win Streak? All MLB teams have an apple somewhere in NYC. The Padres apple is in the Sony store on Madison between 55th and 56th. I wonder if Everth will hop on top of that bad boy and take a photo? 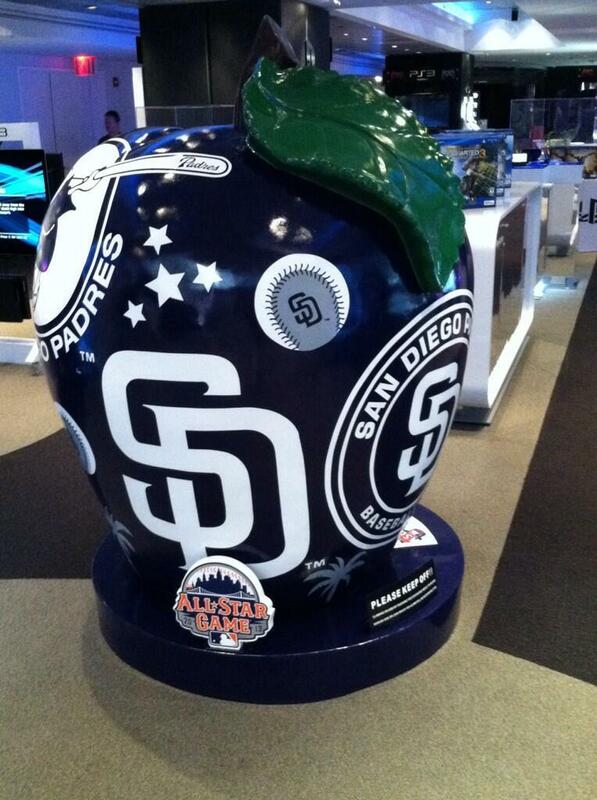 This entry was posted in Baseball, MLB and tagged Padres, Padres apple, Padres apple all-star game. Bookmark the permalink.